These five Canadian winter hikes are just a handful of the many that invite you to explore some of our country's most impressive natural scenery and wildlife with as little as a pair of snowshoes or hiking boots. Canadians don't hide indoors when the snow starts to fall. Instead, we venture outdoors in search of adventure. And although many winter adventures happen at our dozens of world-renowned ski resorts, there are a long list of winter activities available for those who don't ski or snowboard. These five Canadian winter hikes are just a handful of the many that invite you to explore some of our country's most impressive natural scenery and wildlife with as little as a pair of snowshoes or hiking boots. Just 49 minutes southeast of Edmonton is picture-perfect Miquelon Lake Provincial Park, a winter wonderland for campers, hikers, cross-country skiers and all outdoor enthusiasts. 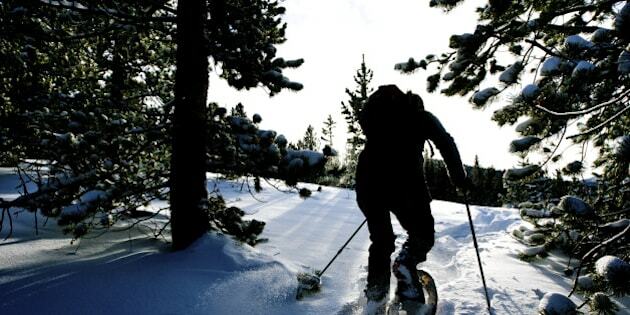 The park's 20 kilometres of backcountry trails are regularly groomed for cross-country skiers, so snowshoers are encouraged to walk alongside the tracks to keep them in top condition. Camp at the park, and you'll have more time to wander the trails in search of rare Alberta wildlife, like ruffled grouse, moose, coyotes, woodpeckers, and snowshoe hare. Tell someone you're visiting Mont-Tremblant in the winter months, and they'll assume you're headed to the famed Mont Tremblant Ski Resort. 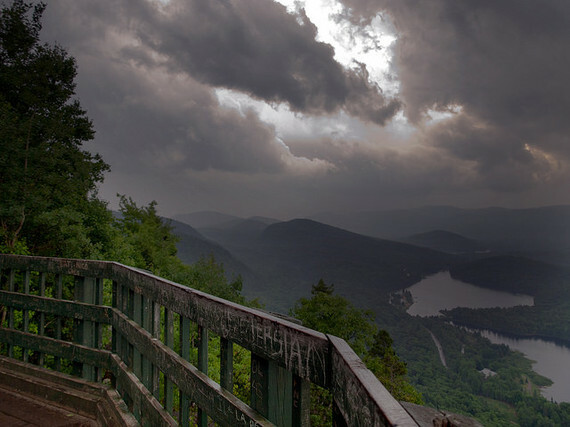 But Mont Tremblant National Park (or Parc National Du Mont-Tremblant), is just as impressive as the nearby ski area. Bring your own snowshoes or rent a pair onsite and tackle the more than 48 kilometres of trails spread over the La Diable and Pimbina sectors. Experienced winter campers are welcome to pitch a tent and spend even more time exploring this park's impressive network of winter trails. It's no secret that Canada's oldest national park is also one of the world's most breathtaking. Located just 30 minutes from the mountain town of Banff, the Johnston Canyon hike is one that's popular in all seasons. However, the views are especially dramatic in the snow-covered winter months. Take the 2.4 kilometre hike to the Lower Falls or the more strenuous 4.8 kilometre hike to the Upper Falls. Whichever route you choose, you're guaranteed to be wowed by the sparkling frozen falls on a sunny winter day in Banff National Park. Winter hikes don't always require snowshoes. This snow-free, 3-kilometre hike to Cypress Falls in West Vancouver requires just 1.5 hours to complete and is a safe alternative to steeper hikes buried in the January and February snow. 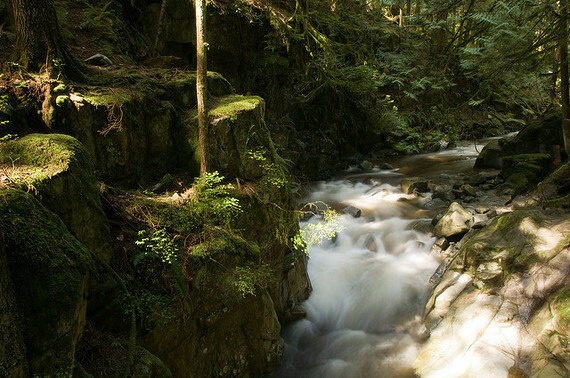 You'll follow Cypress Creek through a picturesque old growth forest past the lower Cypress Falls, a perfect place to take in the beauty of the falls or turn around if desired. However, you'll be rewarded by continuing along the path to the upper falls. Don't be discouraged by the fence marking the border of Cypress Falls Park, as hikers are welcome to use this land to make the short trek to the upper falls. The beach may not be the first place you think to visit in the frigid winter months, but Wasaga Beach Provincial Park welcomes all visitors in all seasons. In fact, the Wasaga Nordic staff maintain roughly 30 kilometres of groomed cross-country trails, 8 kilometres of skate skiing trails, and 6.5 kilometres of snowshoe trails. You don't need to be an avid outdoorsmen to enjoy the beauty and serenity of winter at Wasaga Beach, as cross-country ski and snowshoe rentals are available at the Wasaga Beach Nordic Centre.